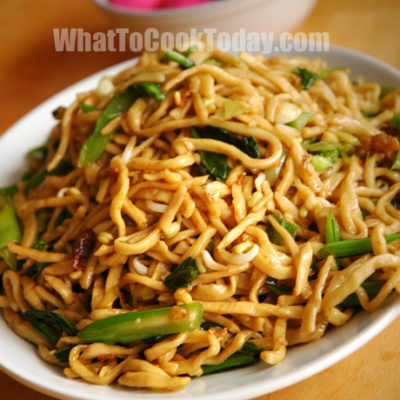 Combine all ingredients in a large mixing bowl (except for the water) and set aside 2 Tbsp of oil to cook the noodles. Stir to mix and gradually add in water and knead until the dough is smooth and no longer sticky to your hands and the bowl. Move the dough onto a clean working surface and knead again. The dough shouldn't be sticky to the working surface. The longer you knead, the better. Hi I want to try this but I was wondering if you can dry the noodles?? I never tried to dry them before, but I did read from other cookbook when I made the Kazakh noodles, which used pretty much the same ingredients I used for this noodles and they did mention that the noodles can be dried by hanging them strand by strand on a rod or whatever you have, so they get good air circulation to dry them and won’t stick together. 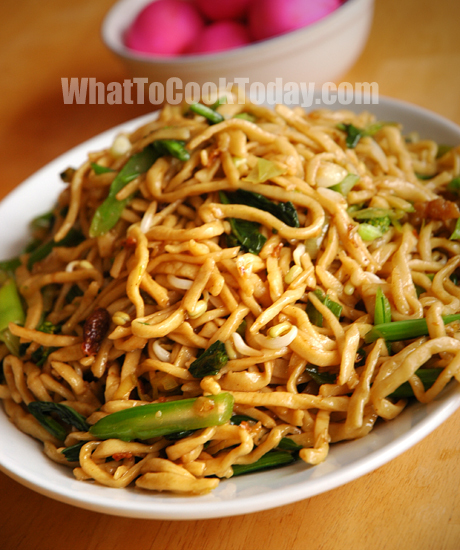 If your noodles are thick, it may take a bit longer for them to be very very dry. I can’t remember the exact length of time you need, but it may take few days if I’m not mistaken. Hope it helps. Great recipe egg noodles for beginners. I like it so much. Really thanks for sharing.